The most popular autosexing breed in the world! 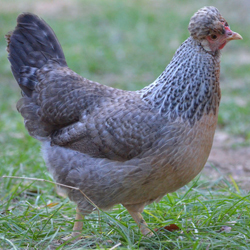 This blue-egg laying wonder bird has a rich heritage, and Greenfire Farms was the original and only importer of this marvelous chicken. 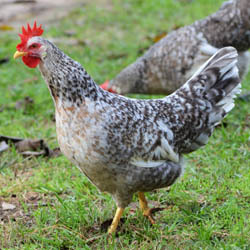 A large auto-sexing breed from the UK. 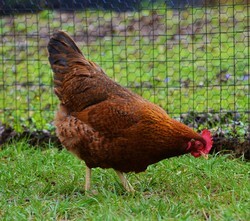 Produced from the crossing of the Rhode Island Red and the Brussbar, a rare British breed.